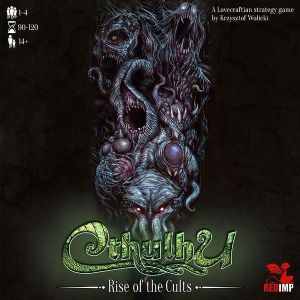 In Cthulhu: Rise of the Cults, players impersonate cult leaders who are worshipping the Great Old Ones, while at the same time fighting other cults as unworthy of revealing and tasting the prohibited knowledge. It’s not an easy task when apart from submitting the acts of faith they must simultaneously carry out the perpetual fight against other cults and maintain maximum discretion around curious investigators and other organizations. Their activities focus on the constant quest for spreading influence as well as celebrating dark rituals which are meant to sow the seeds of insanity and uncertainty in people's minds so as to create the power ready for the advent of what is unnamed and lead to the collapse of the present system at the same time. The main arena for the cult activities are cities on the board in which they seek to gain dominance by creating places of worship and celebration of the rituals, as well as challenging other cults into open confrontation which causes disorganization in their structures. Cthulhu: Rise of the Cults is an area-control type of game with elements of deck-building in which every leader plans their commands for the turn in order to achieve their goals and destroy their enemies. The leaders have at their disposal their own pile of cards (Cult cards) which reflects the abilities and the potential of their cults. Over the course of the game, each player tries to augment their capabilities by obtaining useful cards in particular cities that will efficiently help them carry out the rituals to sow terror among the residents and hold their own against other leaders. Custom-made followers' dice are an element that brings uncertainty and fragility into the game. 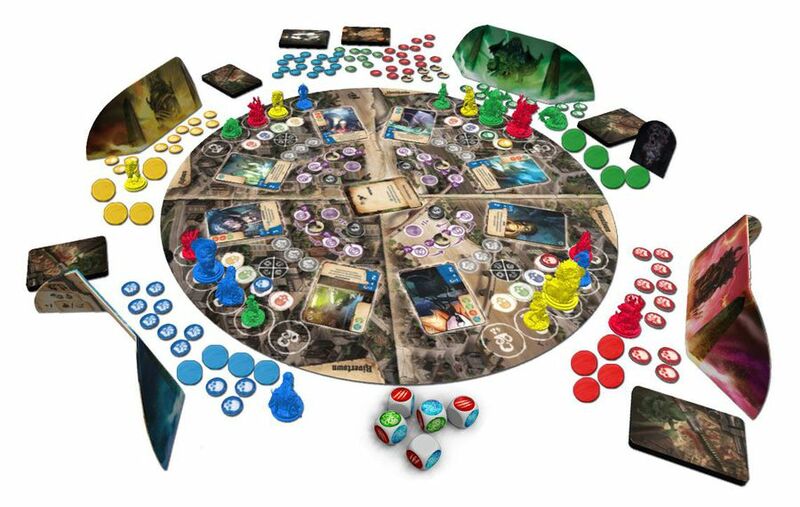 Players roll them at the beginning of the recruitment phase each turn to gain a temporary group of believers who will support the leaders' planned actions.